Good news to put an end to the speculation around the Aldi site in Rothwell as Aldi’s planning consultants confirm that Aldi will begin building on the site next year. I’m really pleased that Aldi has finally communicated with us, there have been a lot of rumours circulating and I’ve been asked many times what’s happening, having pressed for information constantly, it’s great that we now know what is happening and that things appear to be on track. I know that many residents are looking forward to being able to have a choice in Rothwell of where to shop and some local people struggle in the current climate with zero hours contracts being commonplace and some even having to use the Rothwell Foodbank, it has to be welcomed when people have a choice of a discount supermarket, which I think will also keep Morrisons on it’s toes when it comes to prices. It will also be handy for residents who don’t drive and rely on buses to have another local supermarket. 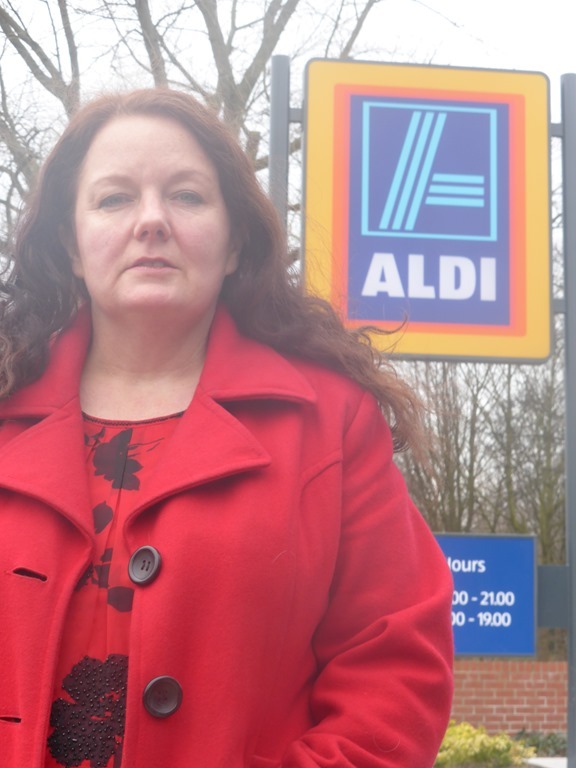 The site has been a bit of an eyesore and it will be good to see it in use, we will now turn our attention to the benefit of Aldi jobs coming to Rothwell and liaise with Aldi to make sure that these new local jobs go to local people. This entry was posted in Carlton, Economy, Environment, Rothwell by Karen Bruce. Bookmark the permalink.